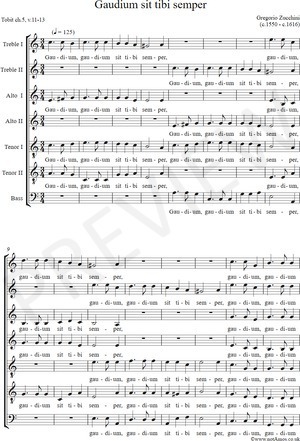 A motet from Promptuarii musici (vol. 4), 1617.
et lumen coeli non video? Forti animo esto in proximo est, ut a Deo cureris. Joy be to thee always. and see not the light of heaven? Be of good courage, thy cure from God is at hand.